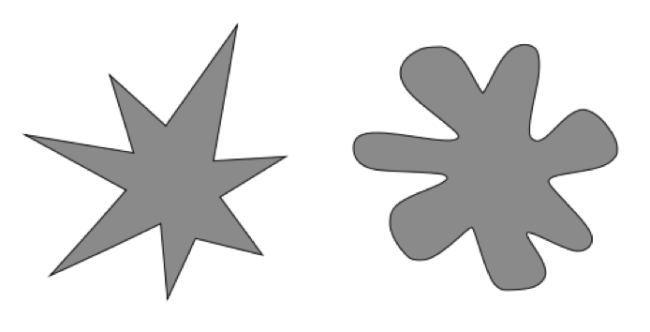 If you were shown the shapes below and told that one is called a “kiki” and the other a “bouba,” which name would you attribute to which shape? Between 95 and 98% of people agree that the more rigid shape is “kiki,” and the curvy one is “bouba.” This is not because they learned these names in school (they’re made up), but because we’re predisposed to associate information from different modalities. As such, we pair the sharper “k” sound with the shape that has sharper points, and the rounder “b” sound with the rounder shape. What’s in a name of a hurricane?